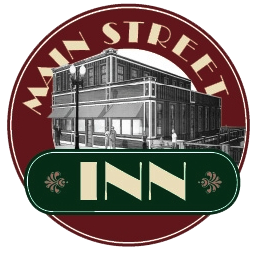 Here at the Main Street Inn, we embrace elegance, comfort, and small-town community all in one place. Situated on the Flat River, our Lowell Inn is the phoenix that rose from the ashes of what was intended to be a demolished building. With the efforts of Greg and Deb Canfield, the building has been restored to its original 2-story structure and adds even more history and life to the downtown area! Experience the wonder of the city while staying in one of our high-end hotel rooms by emailing now for your reservation. We also love helping others celebrate their special occasions, offering you the chance to rent the entire inn or enjoy an evening in a gathering room. This room offers a fully furnished kitchen and living room. Great for parties and events. Rent the entire upstairs for an evening, including three rooms, for $400. Or rent the entire Inn for a night for $995. Seating up to 30, this room offers a refrigerator, sink, and cupboards, with a public restroom available. Entrance is through the lobby for your added convenience. The starting price for renting the Conference Room is $85.